The Brandeis-Wellesley Orchestra (BWO) comprises students, faculty, staff and associates of Brandeis University and Wellesley College. Following successful collaborations in recent years, the orchestras at each institution formally united in the Fall of 2002 under the direction of Neal Hampton. By sharing talents and resources, the BWO provides unique creative opportunities for the communities at both institutions, and specifically for students within the context of a liberal arts education. 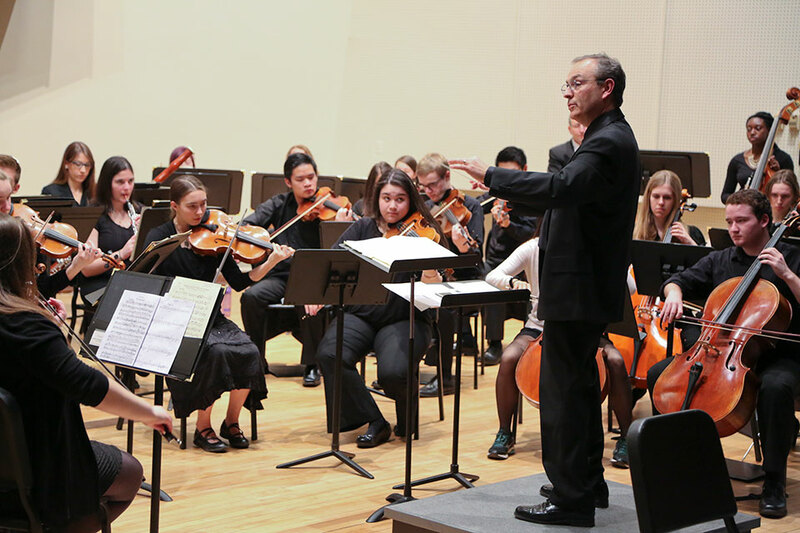 Uniting the high standards of excellence associated with Brandeis and Wellesley, the orchestra is dedicated to bringing inspiring performances of the great orchestral literature, both past and present, to a new generation of musicians and audiences. The orchestra performs four to five concerts a year. Programs have included symphonies and other works by Brahms, Copland, Dvorak, Mozart, Haydn, Elgar, Tchaikovsky and Prokofiev. In spring 2001, the orchestra performed Mahler's Second Symphony in collaboration with the orchestra of Tufts University, and the combined choirs of Brandeis, Tufts and MIT. The 2004 season featured a performance of Beethoven's Ninth Symphony. The 2006 season culminated in a concert with jazz pianist Marcus Roberts. The 2007 spring concert featured a performance of Brahms German Requiem and for the Leonard Bernstein Festival of the Creative Arts in April 2009, the orchestra, and choruses combined for Carl Orff's Carmina Burana. For more information about the Brandeis-Wellesley Orchestra, contact Director Neal Hampton.